The design and construction industry has moved from pen and paper to blueprints to printed CAD drawings to rugged laptops to mobile tablets. A future of 3D holograms being manipulated by engineers and stakeholders has been on the horizon for a while, but it appears that this particular future has arrived. Nancy Li has been speaking about one particular technology package that combines Microsoft’s HoloLens (HaloLens 2 has since released in February 2019), Azure cloud services, AI and IoT technology with Bentley Systems’ Synchro Software to create a mixed-reality construction management solution seemingly straight from a science-fiction movie. “We’ve been working with Bentley Systems and specifically with Synchro for quite a while, and we started a conversation about them building mixed-reality solutions two years ago,” notes Li. 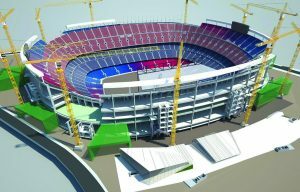 Synchro is a 4D construction modeling solution that adds the element of time. The platform provides a fully integrated critical path method (CPM) scheduling engine with interoperable CAD capabilities. Linking with HoloLens allows users to interact collaboratively with the 4D construction model aligned with physical space, using intuitive gestures to review, validate, track and experience construction sequencing. Comparing the system to “Iron Man” from the Marvel movies, she notes that construction workers can access information in front of their eyes, not only as a heads-up display, but also bring this virtual information in context relevant to the physical world. “You actually can see the real-time data right next to the IoT sensor, instead of seeing it on a 2D screen in a back operating room with somebody staring at a monitor somewhere,” she adds. 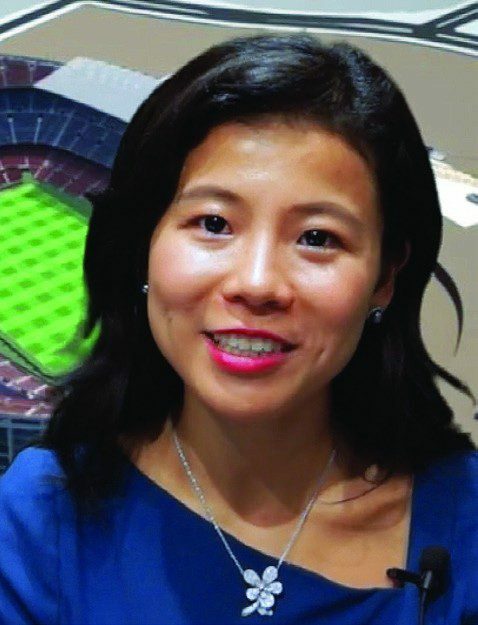 As an example use case, she describes how the FC Barcelona football (soccer in the United States) team starring Lionel Messi is rebuilding its world-famous Camp Nou Espai Barça stadium without closing to the public during the season. The construction system takes IoT camera information of the construction site and overlays it with Bentley 4D models on top. This enables remote monitoring with Microsoft computer-vision services to perform accurate alignment and remote construction monitoring. Instead of having to come to the site each week, HoloLens allows stakeholders to inspect the progress of the construction through mixed-reality viewing to spot construction mistakes as quickly as possible. She notes that discrepancies in pillar placement, for example, are much easier to spot via this mixed-reality system.